Pre-order from Amazon, Barnes & Noble, or Llewellyn. For more on this book and how it came to be, see Paganism In Depth – A New Book. available from Llewellyn, Amazon, or Barnes & Noble. Paganism is a way of seeing the world and your place in it. It means challenging the assumptions of mainstream society and strengthening your relationships with the gods, the universe, your community, and your self. 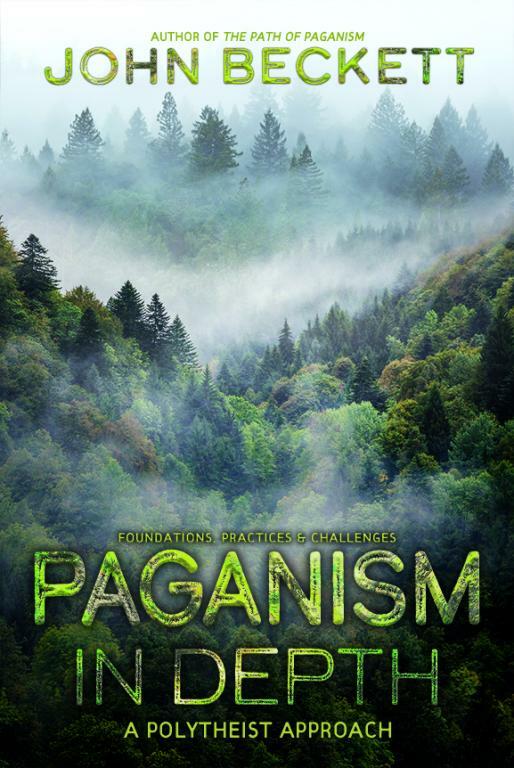 The Path of Paganism provides practical advice and support for honoring your values and living an authentic Pagan life in mainstream Western culture. Discover tips for establishing or deepening a regular practice. Explore how your spirituality can help you deal with life’s inevitable hardships. Learn the basics of leadership roles and other steps to take as you gain experience and move into more advanced practices. With questions for contemplation as well as rituals to help you integrate new concepts, this book guides you through a profoundly meaningful way of life. This is an absolute gem of a book! John’s love of his Pagan path fills this book with incredible enthusiasm and confidence, and this is beautifully complimented by his down-to-earth engineering background and obvious love of science. I would recommend this book to beginners and experienced practitioners alike. Both will find many pearls of wisdom within these pages. John’s book is a new benchmark in the literary history of modern Paganism. Highly recommended. – Damh the Bard, Pagan musician and Pendragon of the Order of Bards Ovates and Druids. 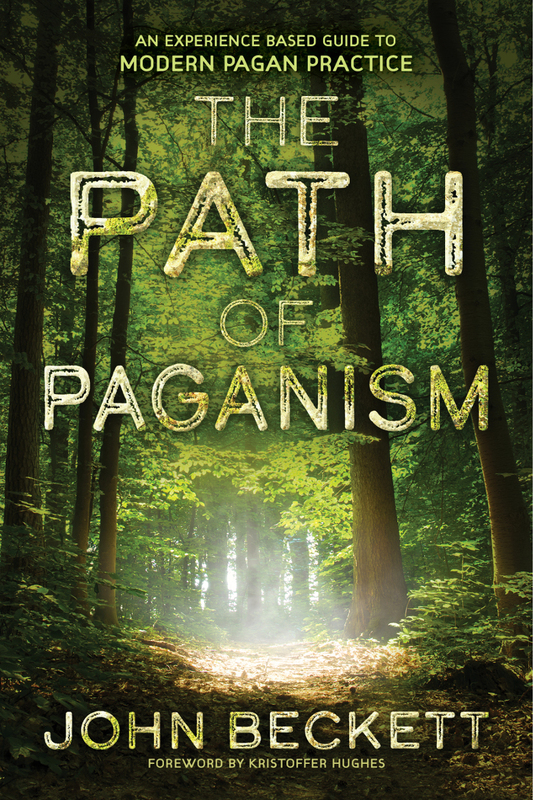 John Beckett’s The Path of Paganism returns power and meaning to the word “Pagan,” and it perfectly illustrates the things that unite us as Druids, Witches, Polytheists, and Magick Users. Beckett’s Paganism is a true “big tent” with room for everyone who loves the Earth, the Gods, and their communities. The Path of Paganism made me fall in love with Paganism all over again and gave me the tools to keep my own Pagan fire burning. – Jason Mankey, author of The Witch’s Athame and The Witch’s Book of Shadows. For the seeker setting out into the bewildering diversity that is modern Paganism, it can be hard to find one’s feet. This book is a lantern, shining a clear light to illuminate the paths leading into these mysteries. John’s gentle, welcoming writing style makes even complex and nuanced subjects accessible without shying away from examining the deeper issues and questions. In a market filled with highly-packaged but insubstantial Pagan literature, this book is pure, clean water and kind, nourishing food. It offers hospitality to the seeker and a map into deeper study and polytheist practice. I expect this book to take its place immediately as a classic volume for Pagan studies. – Morpheus Ravenna, author of The Book of the Great Queen. This book is an excellent guide to modern, devotional Paganism, and is suitable for all levels of experience, from new seekers up to seasoned practitioners. It covers the foundations of current Pagan practices and how they may be implemented by solitaries and groups alike. This is an important, foundational book that needs to be found on everyone’s bookshelf! – Rev. Kirk Thomas, ADF Archdruid Emeritus.